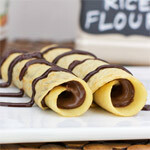 Decent crepes are easier to make than you might think. This is a bare-bones-minimum recipe with only 4 ingredients (although I would recommend adding 1 teaspoon of vanilla if making sweet crepes). 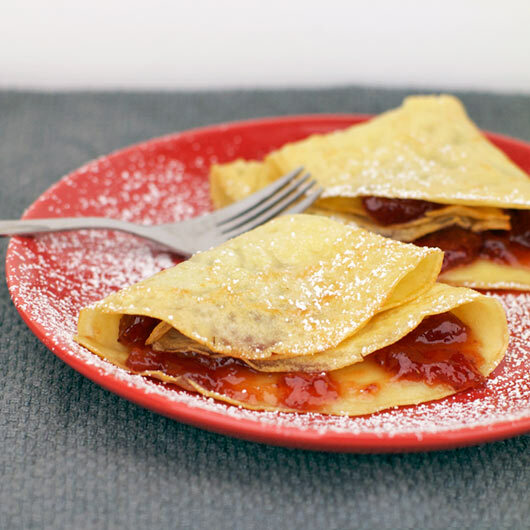 The crepes on their own are a little plain which can actually be preferable if you really want to feature a filling or a topping. 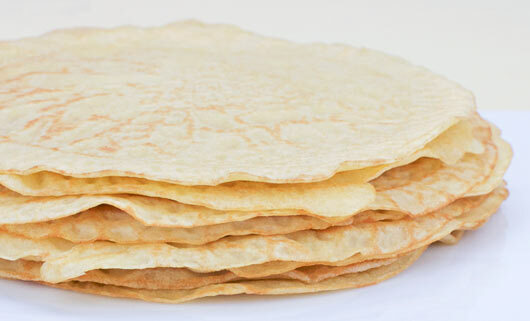 It may take a little practice before you start making perfect crepes, but stick with it. 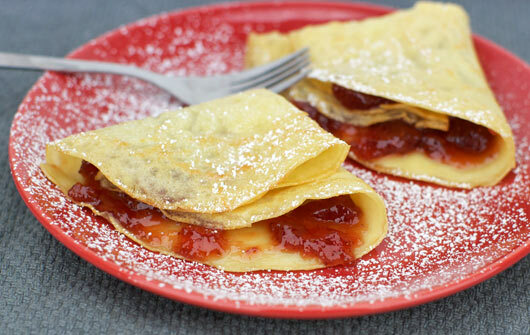 Once you realize how easy it is, you'll want to make crepes all the time. Thanks to Team Breakfast member 'TheHawaiian' for submitting this one. In a medium mixing bowl, mix together all ingredients until will blended and smooth. In a large, lightly-greased frying pan over medium-high heat, dollop the batter in 1/3 cup portions. Tilt the pan in circular motion to spread the batter. Cook until bottom is lightly browned. Flip and cook the other site. This is super easy recipe that always works for our family. Fill them with whatever you want. We usually do jam or a fruit preserve. Mr Breakfast would like to thank TheHawaiian for this recipe. 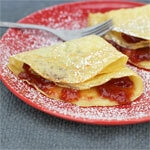 What do you think of Easy Crepes? I added a pinch of sugar and a drop of vanilla. Was GREAT. It's easy to cook and tasty. This is a tried and reliable recipe. Needs a few drops of vanilla, otherwise it's lovely. Very tasty - just how do you get them flat? This is the exact same recipe my grandmother used! This recipe is easy to follow, but I had trouble with the batter being clumpy, even though I mixed it well... maybe I'll try them again before I toss this. 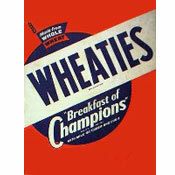 They were tasteless. I hated then. They went bad in 10 minutes. 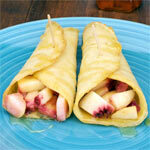 Skip this recipe and find How To Make A Basic Crepe on this same site. That one is perfect. PS- The only reason I am giving it 4 'stars' instead of 5, is that I am not particularly fond of the smell of egg, which is common when you have recipes that call for a number of eggs. Make it every day. Suppppper good. Hi. We actually do have a print function. Just click "printable version" below the recipe title. I should probably make that a little printer icon so it stands out more. Good luck with the recipe! Why don't you have a print feature? 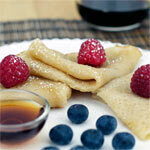 I've made these for years and have learned that adding a splash of vanilla extract increases the flavour ten-fold. For topping we also use a light dusting of granulated sugar or surinamese syrup (called stroop).